The engine is out and isn’t that the bit that all the kids are interested in? Mine are no different and that’s what they wanted to dismantle first. As I’ve previously mentioned, the car transpired to be somewhat of a ‘bitsa’, comprising of different parts from different years and indeed models of Spitfires. 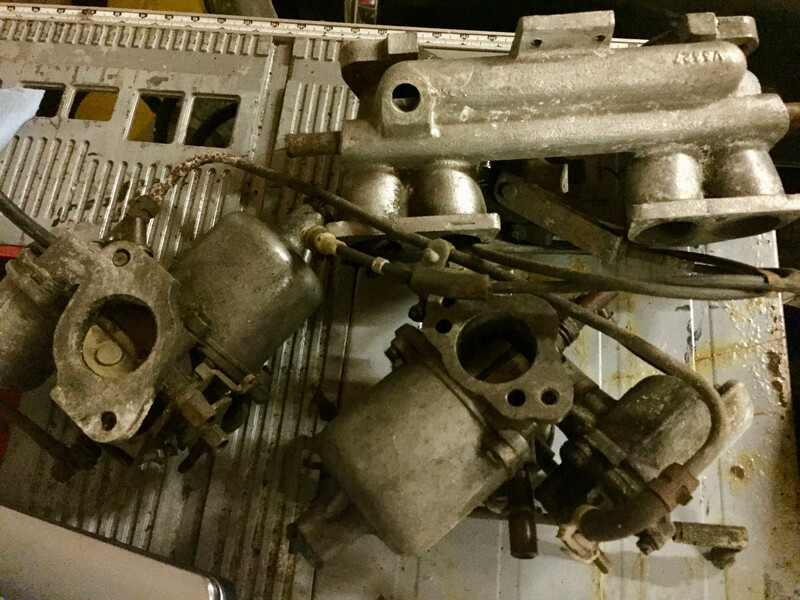 The car came with a plethora of spares when I bought it and some of those were the ‘original’ twin carbs and the manifold which I decided to look at first. The car was running on a single carb which was apparently salvaged from a Herald in an attempt to make the Spitfire a bit more economical to run. The accelerator pedal was also supplied – I didn’t get round to fitting either back in the day…. We did however get the lump mounted on the engine stand, complete with seized clutch plate, which I decided to remove at a later date rather than attack it with a ‘persuader’ and set a bad initial example of how to treat it. 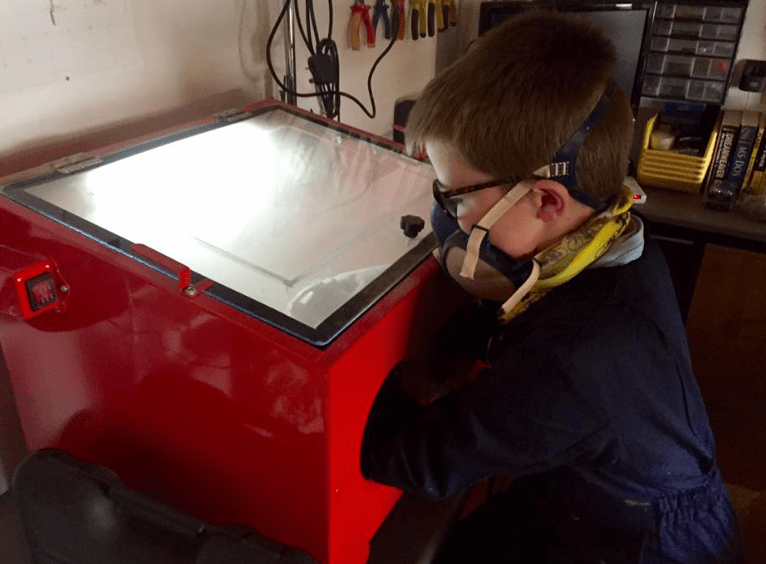 In typical ‘Cart before Horse’ fashion, the kids have decided the engine should have a red gloss block, a matt black head and a silver rocker cover. There would obviously be more pressing matters to be considered before it got a lick of paint. The head should be a simpler proposition although it would be nice to have hardened valve seats fitted if it was being stripped down that far. The ancillaries were in reasonable shape although despite the numbers ‘upgrades’ the previous owner had made, the charging side of things wasn’t included – it still sported its massively inefficient dynamo. Maybe that would be an idea too. I did say carbs, didn’t I?